Pollination is the movement of pollen from the anthers of a flower to the stigma of the same or a different flower. It is one of the most important parts of the economic production of many crops. However, it is often the most poorly understood and least likely to be optimized. In some cases, it is not managed at all and growers just hope there will be enough bees or other insects in the vicinity of the crop to ensure that pollination happens. Even if honey bee hives are introduced for pollination, their performance may not be optimized and the levels of pollination may not be measured. 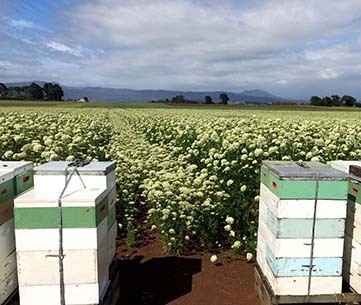 For many crops, obtaining optimized and reliable pollination may be one of the best ways of improving the economics of the production of the crop. Sepals enclose the flower buds. They usually open and fold back so the petals can open. Petals enclose the reproductive structures. In insect-pollinated flowers, these are usually coloured and conspicuous to attract insect visitors. As some of the colours are in the ultraviolet region, which we cannot see but insects can, many flowers look different to insects than they do to us. The petals usually have to open before pollination can occur. Anthers produce the pollen and are usually at the end of a filament. An anther and its filament are referred to as a stamen. The anthers must open or split to release the pollen. A flower may have hundreds of anthers contains many million pollen grains. Pollen grains contain the male genetic material that must be moved to the female reproductive structures. Stigmas, which are at the end of a style (collectively called the pistil), are the female structures on which the pollen must be deposited. Depending on the plant species, a flower may have a single stigma or many. 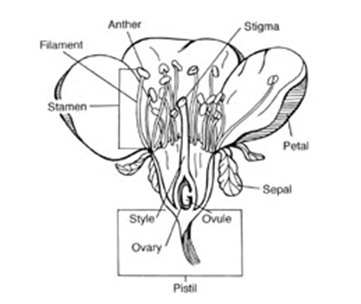 The ovary is normally at the base of a flower and connects directly with the style. Ovaries can contain from one to more than 1000 ovules. Ovules are the female structures that must be fertilized to produce seeds. Nectaries produce nectar to attract animal flower visitors. These are usually situated at the base of the petals. 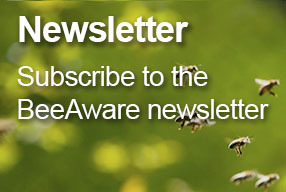 Although there are a variety of mechanisms of pollination, both abiotic (wind, gravity etc) and biotic (birds, flies etc), these pollination pages focus on the pollination services of the European honey bee (Apis mellifera) specifically provided by beekeepers to growers of pollinator-reliant crops. Honey bees forage for nectar and pollen exclusively, and as they forage for these resources, honey bees accomplish pollination. 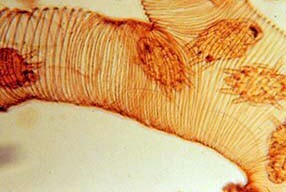 Honey bees have hairy bodies that easily pick up pollen grains when foraging. Honey bees are proficient workers and require large quantities of nectar and pollen to rear their brood, and because of this, they visit flowers regularly and in large numbers to obtain these food sources. Honey bees can be managed to produce large colonies of bees (30,000–50,000 bees), of which 5,000–15,000 may be foraging at any time. Honey bees are generalist foragers that tend to visit a broad spectrum of crop species and will visit almost any flowers from which they can harvest nectar and pollen. 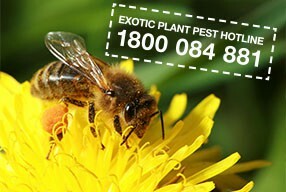 Once honey bee foraging behaviour has been trained onto a specific crop, they will generally continue foraging on the crop until the flowering period is over. 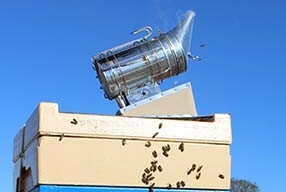 Managed hives of honey bees can be delivered to crop at almost any time, will start foraging almost immediately, and can then be removed once flowering has finished. 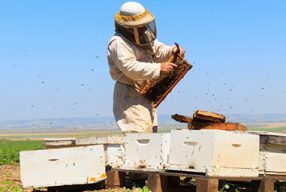 Honey bee colonies can be sourced throughout the year and can usually be sourced irrespective of when the crop flowers, and be distributed in almost any pattern around the crop.